Our Father's Day dinner may have been a complete flop, but our breakfast certainly wasn't! 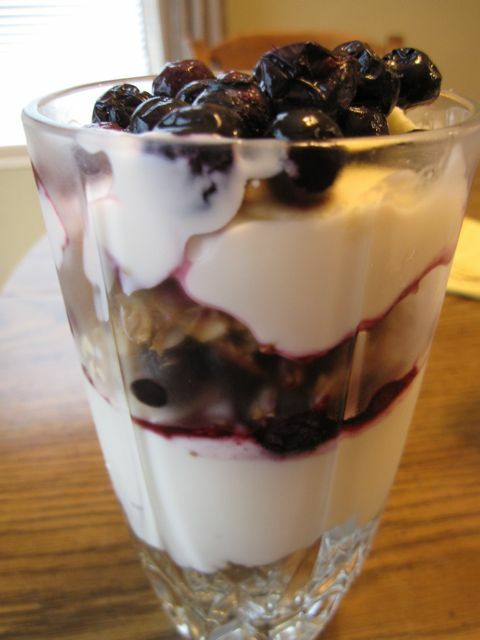 We made up this granola, and this time around we layered it with plain yogurt, bananas and blueberries. I often have this granola with yogurt for breakfast and then again for lunch and have even been tempted to serve it for dinner, it's so delicious. I cooked up some sausages from our local co-op market to serve alongside. Ryan then spent the day reverting to teenage-dom by playing Starcraft II. And while we didn't have a great dinner, we did enjoy some pastries from our local Larsen's Bakery for dessert.